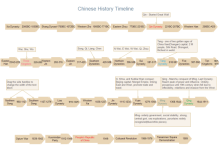 A simple tutorial helps you learn how to draw a timeline for your project Schedule and increase your possibilities of understanding and work more effective with the Timeline Software. 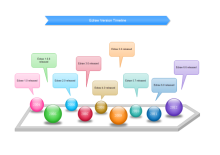 Edraw smart timeline template is an easy way to represent task and project progress to team members. We'll show you how to use the template to create a timeline, represent task completions, and show the starting and ending dates of a particular task. View the video tutorial about how to create a line chart in minutes. 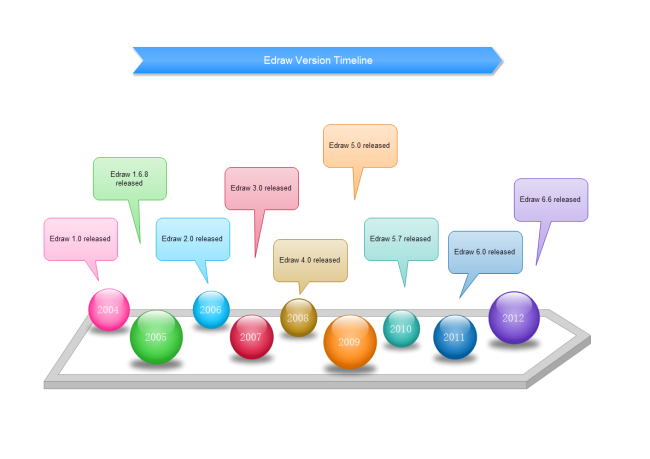 To find the timeline template, navigate through File > New > Project Management > Timeline from start page in Edraw. 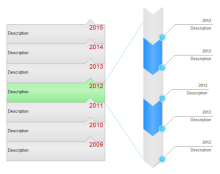 When the timeline template opens, you'll have a variety of timeline bar to choose from. With your pointer, drag the timeline onto the drawing page. 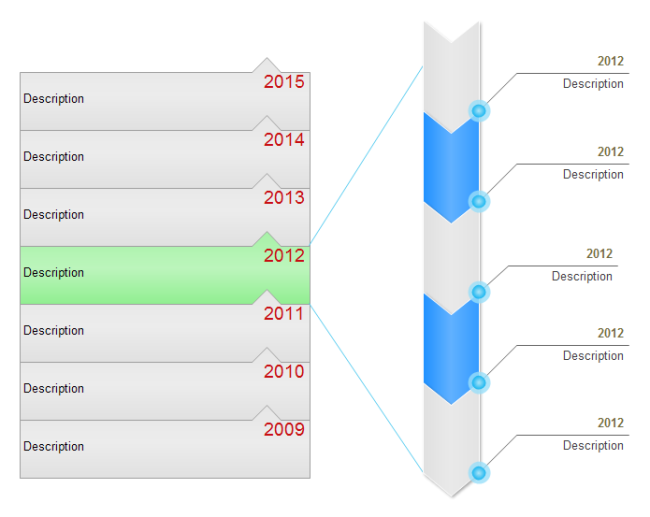 When you place the timeline on the drawing page, you can click the quick button to configure the duration of the task. The Configure Timeline dialog box will automatically appear. You can set how you want the dates represented at the beginning and end of the task. 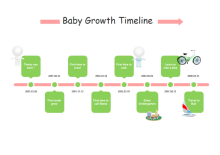 Now that we have created a timeline, let's include milestones to track the progress of the task. As with the timeline, you can drag a milestone shape from the Timeline Shapes template on the left side of the drawing page. When you drag and drop the milestone on the timeline, the milestone can snap to the timeline bar. Click to select the milestone shape, you can use the quick button to configure Milestone date information. You'll also want to designate what the milestone is. To change the default description, double-click on the date and the text in the drawing page and type in your milestone. 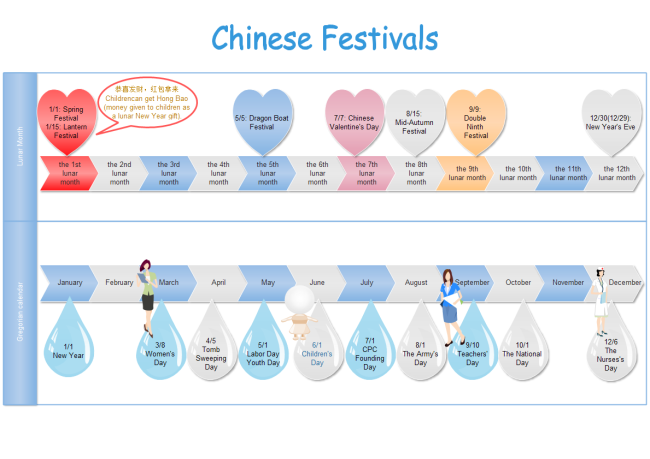 In our timeline, we need to designate the length of the timeline, chose the Interval shape, and divide the timeline into weeks so that we can show the process to which the milestone is related. Like the timeline and the milestone, we drag and drop the interval onto the drawing page. As with the milestone, you can establish the interval dates by quick button on the interval shape and opening the Configure Interval dialog box. You can drag the yellow control point to change the position of text description. You can scale the length of the interval bar. You can add more timeline bars, vary your intervals, and change other elements to suit your project. 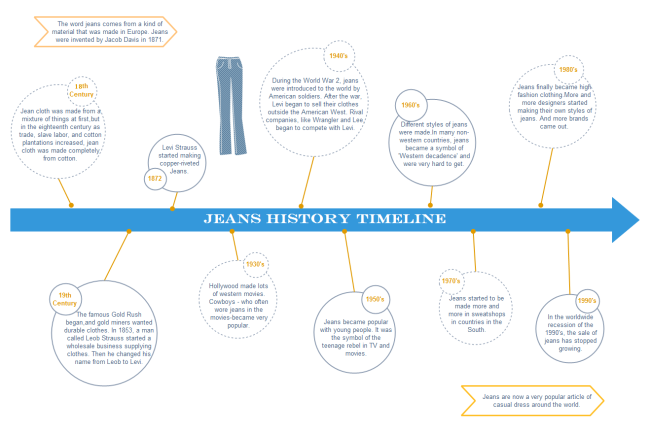 Timelines can be a useful tool to help keep your team members on track, and Edraw's smart timeline shapes can help you quickly put one together for your team members or a client. 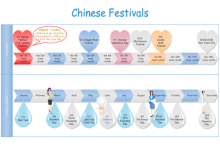 You can also use the callout shapes, arrow shapes and connectors to help represent timelines. When you complete the timeline, you can save it as the project file for revision later. You can print it or export it as the html, pdf, svg, transparent png format. You can also export it to MS Word, Excel or PowerPoint with one click. 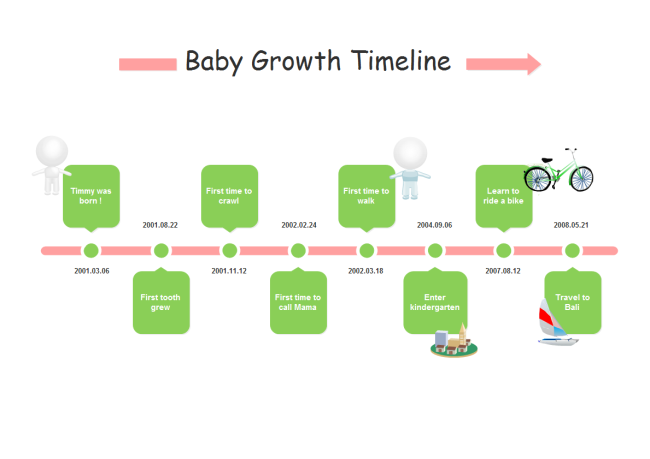 To save time and effort, just start from a ready made timeline template. 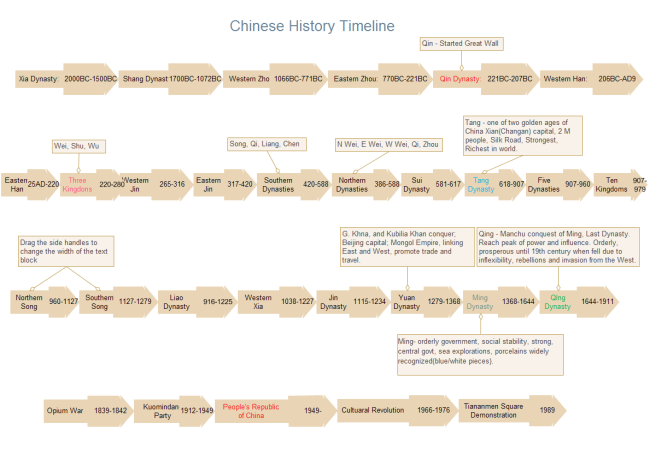 Edraw has elaborately prepared some timeline examples. Download a similar one, fill in your contents and then format it to look just how you want. Done. Simple and easy.